GoogleGoogle Chromecast is a $35 dongle that plugs into a TV’s HDMI port. This week, Intel CEO Brian Krzanich announced that people are keeping their PCs a lot longer before upgrading: the average has increased from four years to as many as six. The tablet refresh cycle isn’t much shorter than that, to Apple’s eternal chagrin. Even iPhone sales have started to taper off, partly because people are keeping their phones longer or choosing cheaper Android phones. What’s happening is pretty simple. 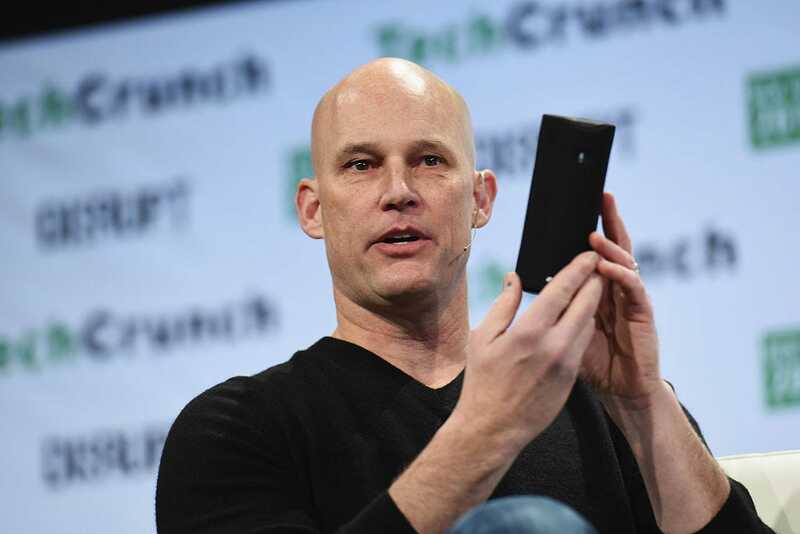 The hardware and the software running on any device itself have become way less interesting than the web apps and services, like the ones that Google and Amazon have made the core of their business. Why buy a $700 iPhone when a $200 Android phone can access the same YouTube or Amazon Music as everyone else? All you need to do to get new Facebook features is refresh your browser or update your app. You don’t need a high-performance device to participate in the 21st century. It’s a stark contrast with the traditional model for consumer electronics, where you’re expected to upgrade the hardware to keep pace with the new features they release. And it could be a dire omen for high-margin hardware companies like Apple. Meanwhile, web-first companies like Amazon and Google are more than happy to exploit this, even as our notions of what a computer actually is continue to shift. Just look at devices like Google Chromecast and the Amazon Echo. Since 2013, Google has sold 25 million Chromecast devices — the completely amazing $35 dongles that turn any TV into a smart TV. That’s right, $35. 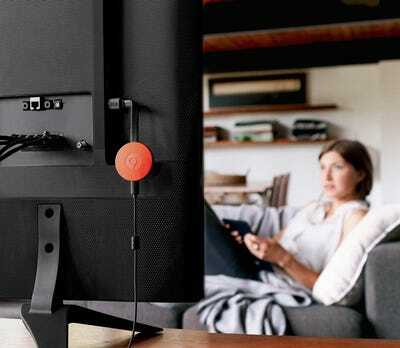 The real brilliance of the Chromecast lies in what it isn’t, rather than what it is. It doesn’t have an interface of its own. You just push a button on your phone and have whatever YouTube video you’re watching or Spotify album you’re listening to appear on your TV screen. A nice side effect: It’s relatively simple to take an existing smartphone app and add Chromecast streaming capabilities, and literally tens of thousands of apps have done that integration. You don’t have to think about it or learn a new interface; you just click and go. It means that every single day, I get more return on the initial $35 investment in the Chromecast I bought in 2014. But since all of the good stuff is happening in the apps, not the Chromecast itself, it’s extremely unlikely that I will ever have to replace this Chromecast, barring a hardware malfunction. You could probably say the same thing about the Amazon Echo home voice assistant. Developers have released almost 1,000 “skills” for the Amazon Echo’s Alexa platform, including the ability to call an Uber, play Spotify music, or order a Domino’s pizza. These gadgets are getting better, not worse, the longer they stay on shelves. And while there may be periodic minor hardware improvements, they’re way more minor than the gap between an iPhone 5 and an iPhone 6, and far less necessary to keep getting maximum value from the device. This move is going to keep putting pressure on hardware-first manufacturers — especially those who rely on high margins, like Apple. The Chromecast and the Echo are relatively cheap gadgets — because all the important, useful stuff about them lives in the cloud, they’re optimised to be small, efficient, and unobtrusive. 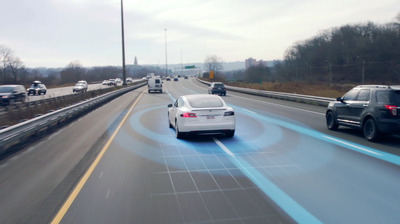 TeslaTesla’s autopilot mode scanning the road. Amazon doesn’t need to make money on the Echo itself, as long as it drives more commerce to its retail business. Same with Google: as long as the Chromecast gets more people to watch YouTube videos and download more stuff from Google Play, they don’t have to make money from the gadget itself. And you’re seeing more of this all over, like when Tesla made thousands of its electric cars partially self-driving with an overnight software update. The gadget Tesla drivers already owned — in this case a car — suddenly got way more useful. This trend isn’t going to kill off the smartphone, or the PC, or the tablet. But it means lower-cost gadgetry that lasts a lot longer. We’re only seeing the early stages of this shift now, but it has a lot of potential to shake up how we think about and how we buy our devices.